If you love sports and don't care much for political correctness just follow in the footsteps of Champ Kind! This kit will give you the iconic 70s sportscaster's signature style. And rumor has it Channel 4 is looking for a new commentator after the latest channel brawl left their news team down a man. If you're lucky enough to get a spot in the crew, you'll provide the daily break down of all of San Diego's major sporting events. AND you'll be Ron Burgundy's go-to guy at all of the big parties. That sounds pretty good to us! Whammy! 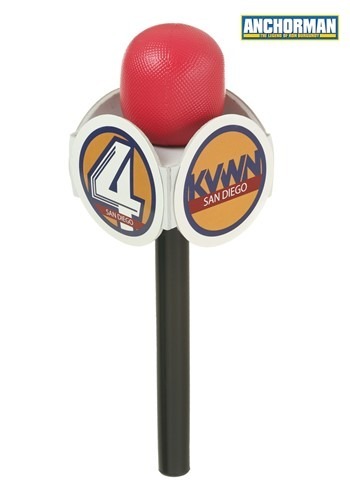 Whether you're Brian Fantana reporting from the field, or Veronica Corningstone covering the big panda birth at the San Diego zoo, you're not going to want to take to the airwaves without KVWN Channel 4's signature microphone. (Even ol Ron Burgundy was known to keep one of these on his bedstand, just in case!) 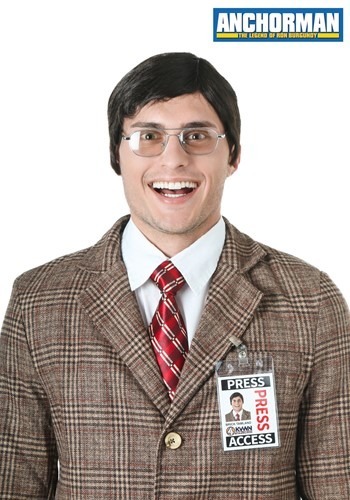 Grab this official Anchorman accessory for your costume, and you'll be ready to broadcast all of the top stories. 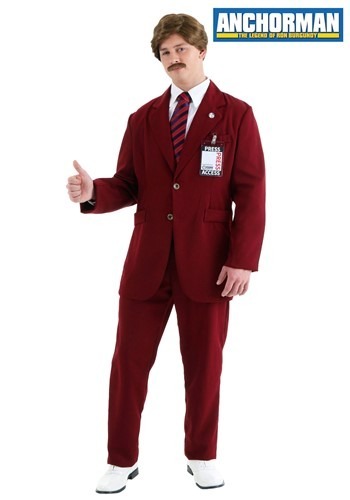 When you decide to own this exclusive Authentic Ron Burgundy Suit you will not immediately regret your decision. However you may regret some decisions you make while being Ron Burgundy! While his words sometimes get him into trouble, we think you'll do just fine as the famed San Diego broadcaster. 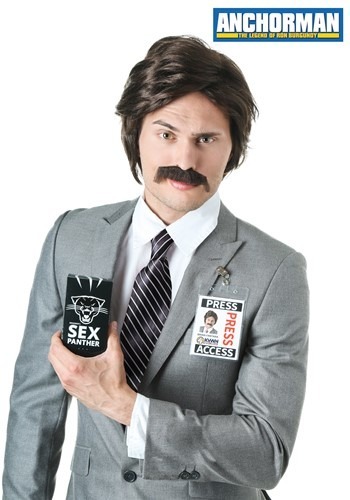 This authentic costume is a great way to meet some ladies at your favorite jazz club, but you'll look equally awesome paired up with your best buds as the Channel 4 News Team. 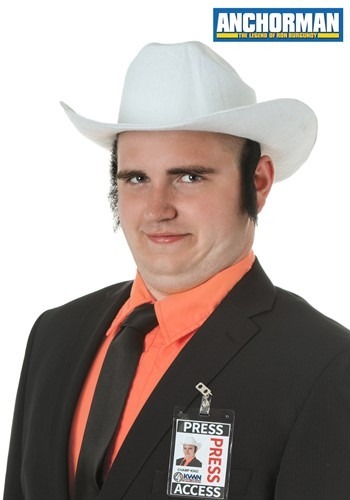 But if you happen to end up in a showdown with the other station's news teams, just remember to take this jacket off. It's way too nice to risk getting torn in the battle! Do you love poetry, a glass of scotch, and an occasional jazz flute performance? Sounds like you have what it takes to be a world class anchorman! 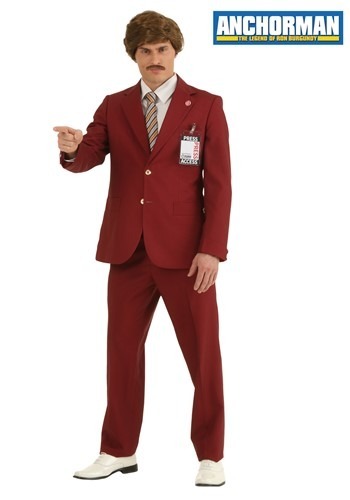 Take after the iconic 70s newscaster Ron Burgundy with this signature costume. Because when you are well dressed and confident there's nothing that can hold you back. (Well, at least as long as no one tries to sabotage your broadcast.) This exclusive Ron Burgundy suit will give you the look straight from Anchorman, and only needs a little panache to pull off the ultimate homage to the Will Ferrell classic! You can be a man. Discover the wheel, and build the Eiffel tower out of metal and brawn. But above all, be an anchorman! You can take the helm of Channel 4's news team when you suit up in this authentic Ron Burgundy costume. With the panache and bravado of the iconic 70s broadcaster, there's only going to be two words on your lip... stay classy! Veronica Corningstone isn't going to let any man stand in her way, and if that sounds like your kind of gal, you'll love this authentic Anchorman costume. You 'll have to trample down some sexist attitudes and work on chipping away that glass ceiling, but it will all be worth it to get your share of the evening news. Team up with Ron Burgundy for an epic couples costume (since we're sure your favorite guy will look great with a mustache) or the entire Channel 4 news team for a group theme. San Diego celebrity status will be all yours with this exclusive costume! 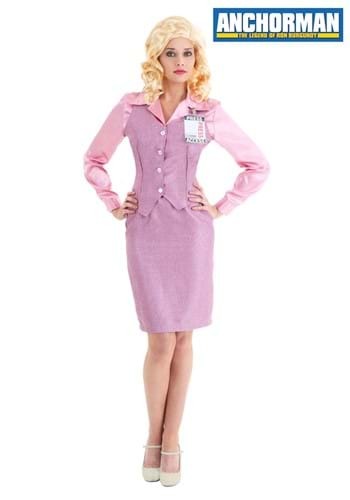 Top off your Veronica Corningstone costume with some serious 70s style when you add this wig. You're going to want your golden locks to look great on the evening news, so save yourself the hassle of visiting the hairstylist with this licensed wig. With our exclusive Anchorman line, you're sure to be a top place finisher in your costume contest!